Nancy R. Tag, Professor and Program Director, announced today the names of the inaugural members of the CCNY Branding + Integrated Communications (BIC) Master’s of Professional Studies program Industry Advisory Board. The board members have extended their offers to provide professional development and various other kinds of support to the BIC curriculum and individual BIC students. The enthusiasm of these advisory board members, along with support from their organizations, is a testament to strategic direction of BIC in preparing the next generation of communications professionals. David Sable, CEO, Y&R -- David Sable has been Chief Executive Officer of Young & Rubicam, Inc since February 2011 and has been its Chairman of the Board since January 1st 2012. He has served in high-profile positions in advertising, direct marketing and public relations with global clients as diverse as Microsoft, Citibank, Kraft, Hewlett Packard; IBM, Colgate-Palmolive, Bausch and Lomb, and the United States Postal Service (among others, who count on his strategic insight and ability to connect talent across marketing disciplines and geographies). He was appointed by the Mayor of the City of New York, Michael R. Bloomberg, to serve as a member of the Cultural Advisory Committee of the New York City Department of Cultural Affairs. He is a Member of the Executive Board and Chairman of the Marketing Committee of the United Jewish Federation's (UJA) New York chapter. Mr. Sable is a frequent speaker at industry events, including the Cannes Lions International Advertising Festival, Venice Festival of Media, International Post Corporation, Direct Marketing Association, Australian Direct Marketing Association and the Israel Policy Forum. Barri Rafferty, CEO North America, Ketchum PR -- During Barri Rafferty’s tenure at Ketchum, she has held several different roles to support the agency’s overall business goals, including overseeing the global brand marketing practice and running the New York, Atlanta and Dallas offices. She also oversaw specialty units such as digital, entertainment, sports, and multicultural, some of which have since grown into full-fledged complementary businesses. She is part of the nine-member Worldwide Executive Committee, which focuses on guiding the strategy, client service and performance of the agency. Rafferty has a legacy of client service and continues to advise many of the agency’s largest clients, including Gillette, P&G, Frito Lay, Weight Watchers, Ikea, Chase and Mattel. Outside of Ketchum, she participates in a number of groups, such as the sustainability task force for the World Economic Forum. She is also active in the Public Relations Society of America New York Chapter and is a former chapter president. In 2012, she received the PRSA President’s Award for her many contributions. 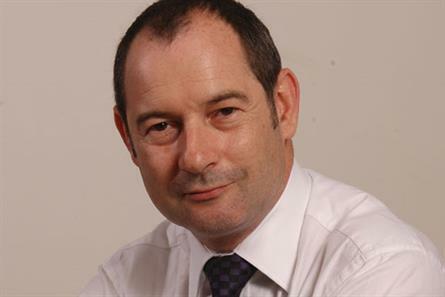 Rob Norman, Chief Digital Officer Global, GroupM – Rob Norman oversees the activities of the world’s largest buyer of online media with more than $5 billion in billings. In this role, he develops the digital capabilities within GroupM while establishing thought leadership positioning in the digital space and contributing to each agency’s business development. Prior to taking this role in 2012, Rob served as CEO of GroupM North America where he was responsible for the general management as well as strategic and administrative activities at each of GroupM’s four media agencies. Rob was named a Media Maven by Advertising Age in 2007. He sits on the advisory board of WPP Digital, the venture arm of GroupM parent company WPP, and is a member of the Board of Governors of the Center for the Digital Future at the University of Southern California’s Annenberg School for Communication. He also is on the board of the 4A’s, and the Ad Council and leads GroupM’s diversity efforts, including a scholarship program at City College New York. Peter Finn, Founding Partner, Finn Partners – Finn Partners today carries on the 60+ year history of one of the pioneering generation of American public relations firms (Ruder & Finn) along with the legacy of the founder, David Finn, a CCNY alumnus. Named by PR News as a 2013 Agency of the Year and by The Holmes Report both as the Best PR Agency to Work For in North America in 2012 and as the Best New Agency of 2012, Finn Partners is headquartered in New York and has six other U.S. offices as well as offices in London and Jerusalem. Peter Finn has over 25 years of experience in the management of market research and public relations operations of the Ruder Finn Group companies with a solid record of acquisitions and agency development. He is also the founder of the Catskill Mountain Foundation, a transformative arts-based economic development initiative in the upper Hudson Valley of New York State.